How one person in a household that is obsessed with sugar, can take down the entire household! What is it like to live with someone obsessed with sugar? What does that even look like, and why is it detrimental to anyone else living in that household? You might think this sounds ridiculous, but when you know the facts, I can bet you are going to cut back on those sugary treats as well. I recently came in contact with someone that I would say has a sugar obsession Now let me be clear, I am not diagnosing this person. I am merely going off what I have observed, hence the word obsession versus addiction. So naturally I was curious as to what this person thought about their sugar habits. I did what I do best, and I asked questions. The answers to these questions made me realize how massive a problem this can be. Now before I dive into this, I want to clarify. I truly believe in balance, and myself have a sweet treat every once in a while. That’s not what I’m talking about here. I am talking about a sweet treat, or two EVERY day. I also want to preface this interview with a few facts. A study done by the Harvard Medical School produced the following results from a study done over the course of 15 years. · Those whose dietary calories come from 25% sugar or more, were twice as likely to die of cardiovascular disease. · Excessive amounts of sugar is really hard for the liver to process, which can lead to insulin resistance. Your pancreas will continue to secrete insulin to counteract all of your sugar intake, but will eventually fail to produce enough insulin resulting in diabetes. · This trend has nothing to do with body weight. Which is to say an obese person that ingest less sugar than someone who is within normal weight ranges may be better off. 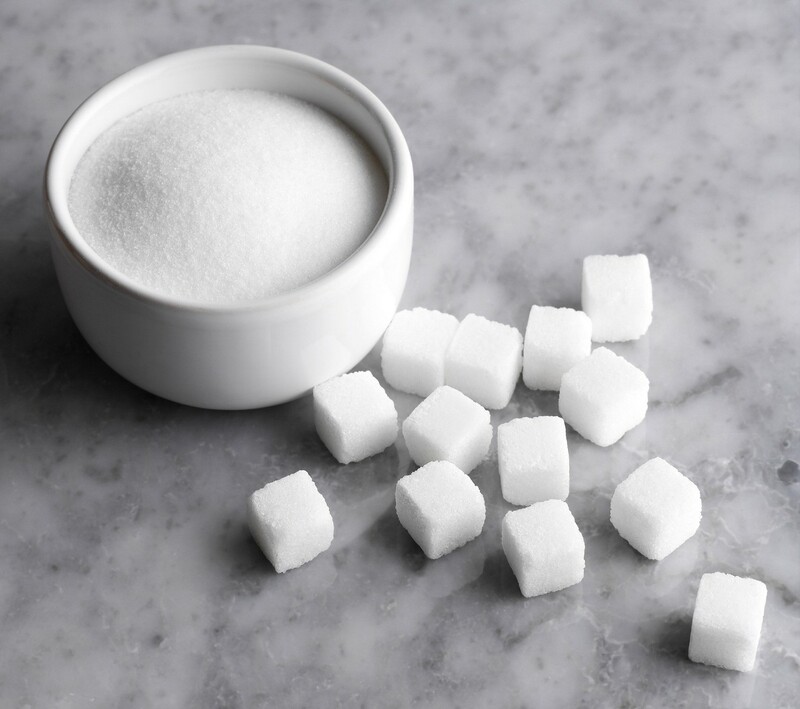 Sugars are carbohydrates that are roughly half glucose and half fructose. Ingesting glucose stimulates your pancreas to secrete insulin, which can cause your body to store fat among other things. You can see where this would be a problem. And anyone living with someone who is ingesting high amounts of sugar is 10 times more likely to being consuming more sugar as well. HELLO sabotaging women’s weight loss. Catch my drift? Q: So tell me a little bit about your relationship with sweets. A: I have a bit of a sweet tooth, but I just like the taste of treats, they make me happy. Q: If you had to make a choice of any snack or a treat what would you choose? A: Well I would most likely choose something healthy, but if there is a treat available I would eat it. Q: Do you ever notice wanting more of those treats after you have one? A: Yea, when I have a cookie or something I always want more…or ice cream, I can never just have one scoop. Q: Do you ever feel yourself crash in the afternoon, or notice you are more tired? A: Yea, all the time. Especially if I know I haven’t made the best choices. Like if I have a bag of skittles or something, shortly after I feel the sugar crash. Q: Do you know much about the effects of sugar on the body? A: I know that treat will spike your blood sugar and then cause a crash. It’s bad for your teeth. It can make your body store more fat. It can be more addictive than drugs. Q: Ok, so if you know all of these side effects, do you think your sugar intake is at a point where you should be concerned? A: No, I don’t feel like I am dependent on it, I just like the taste. I am not really afraid of those things happening to me. Q: Do you monitor your sugar intake? A: No not really. I don’t think it’s really that bad. It’s normal to have a sweet tooth. Q: Are you aware of how much sugar is hidden in food? A: Yes, I do know there is a lot of hidden sugar in food. Especially stuff you wouldn’t expect it to be in. Q: So how many days per week do you think you have a sweet treat? A: I would say maybe 5–6 days per week….ok actually if I’m being honest probably every day. Q: Do you feel like sugar is affecting your mood or your relationships? A: Yes, more than I would like to admit. But I can tell when I have more sugar it’s easier for things to stress me out. And sometimes this can negatively affect my relationships. So now you are probably thinking, what am I supposed to do about this? How do I get rid of this sugar obsession? My answer? A Detox. A sugar detox. For 14 days or so. And this doesn’t have to be anything crazy. You can eat whole foods, but cut out the crap. Quit the treats, stop the artificial crap and increase the amount of organic veggies, and grass fed meats you are consuming. You will be surprised how quickly your body stops craving sugar. Maybe you aren’t ready for something that dramatic yet. Start with cutting down on soda, candy, artificial crap, and best of all start your morning with bullet proof coffee! Healthy fats right away in the morning can help curb those afternoon cravings! Whatever you do, start controlling your sugar intake. I promise you, your body will thank you!